As one of the most powerful and versatile tools for small, local businesses, Google Alerts makes it possible for you to listen in on conversations pertaining to your brand and other companies within your niche. While this might seem like an underhanded tactic, it’s actually a critical step in both brand management and online reputation management. It gives you the opportunity to hear what others are saying about your business and the types of services and products you supply. Google Alerts can show you which platforms are currently linking to your website as well, which is great for tracking your overall link profile. In order to take advantage of these and many other benefits, however, you will have to start by learning how to set up Google Alerts. In its most basic sense, Google Alerts can function as your own customized search engine. Best of all, it is absolutely free to use and guaranteed to deliver the results you want instantly. Moreover, you can create as many as 1000 Alerts for every email address that you use. This will allow you to monitor up to 1000 different search terms and all of the online activity surrounding these search terms. 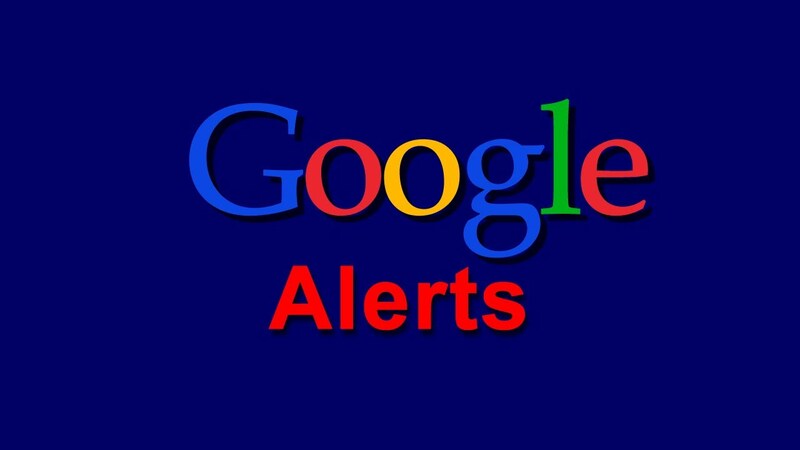 If you make your Google Alerts terms geographically specific, you can refine your alerts to your specific area so that the related updates are very specific to both your business and your targeted market. Before we cover the specifics of how to set up Google Alerts for your small business, there is another important benefit that you should note. The updates that you receive via this free online tool will give you a clear understanding of exactly what people are talking about concerning the keywords that you are targeting. This is a great way to jump into discussions via the same platforms on which they are occurring, or by crafting timely blog posts and articles that supply any missing pieces of information. Thus, if you want to use your online content to establish yourself as an industry expert, this is exactly how you should do it. Learning how to set up Google Alerts is actually quite easy. In fact, this is a quick, several step process that you are virtually guaranteed to master within a matter of minutes. It is vital to note that Gmail accounts are not necessary in order to use this tool. Any email address that you are currently using will work just as well. Simply start by visiting google.com.alerts. Setting up and using Google Alerts is all too easy — you don’t even have to have an existing Gmail account to use Google Alerts. If you do have an existing gmail account, go ahead and use it to sign in. Otherwise, you will find a basic form for Google Alerts that you can begin filling in. Start by setting your search terms. You can use multiple terms and can separate these by commas. For small, local businesses, make sure that several of these are location specific. Given that Google is increasingly committed to offering hyper local results to its mobile users, be sure to make some of your search terms hyper local as well, such as by referencing major landmarks near your business. There are countless forms of content that might be relevant to your search terms. These include news updates, blog posts, video posts, online discussions and even books. Determine which type of content is going to be most helpful to your company and then check the boxes for each of these. Finally, determine how you would like your alerts to be sent. You can do this by deciding to only get the best and most applicable results or by having the system send you everything. Your alerts can then be routed to your Gmail account, a different email address or via RSS feed. Once you are done, finish by clicking the button marked Create Alert. As your Google Alerts start rolling in, be mindful of the fact that you can always go back and change your alert settings. You might find that you have targeted too many search terms or that certain forms of content simply aren’t insightful enough to merit your attention. By making minor adjustments, you can ensure that these updates are always providing value to your business. ← The Importance Of Email Marketing For Business.